The last time I caught the Avett Brothers in Savannah was their first time playing the town. At one point, Seth--never one to pass up an easy applause opportunity--said, "This may be our first time here, but it certainly won't be our last!" The boys made good on that promise, staging their glorious return to the Hostess City less than a year after their debut. This time, it was a part of the Savannah Music Festival--the same event that lured Wilco (a show I caught) and M. Ward (couldn't make it) a year earlier. Band of Horses plays next week, but I'll be giving that one a miss in hopes they throw their hometown a bone within the next few months. 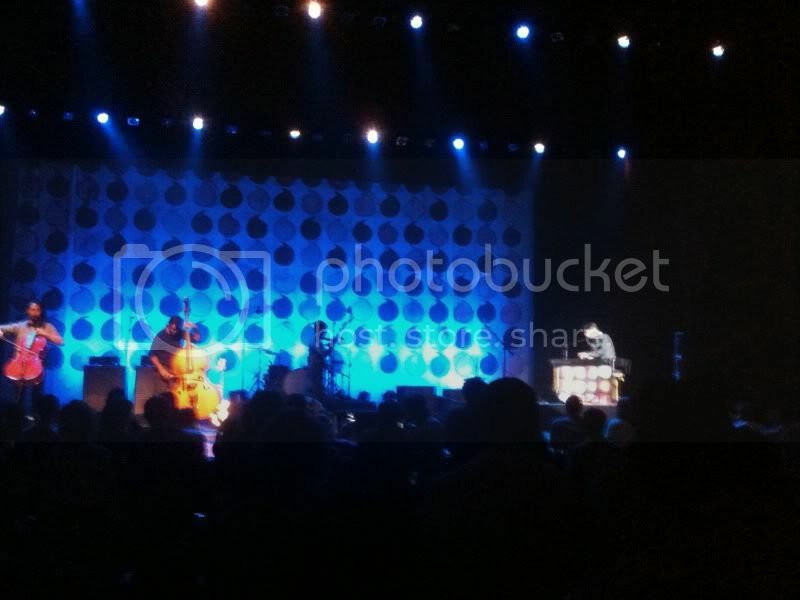 Anyone who reads this blog regularly knows that I'm no stranger to Avetts shows. Last night was my sixth rodeo--a small number in comparison to some superfans, but by now I'm a qualified observer. I've seen only Ryan Adams and Wilco more, and Band of Horses just as many times. This is also the fifth Avett review to appear on Hearsoundswrite. I offer these numbers to give you some context, because those bands that I see regularly are naturally held to a different standard than the once-in-a-lifetime type shows (see: Tom Waits). I think a burden for any band is to keep devotees interested. A growing band--especially one that tours so steadily as the Avetts--has got to stave off any impression of stagnancy, less the fans start to experience diminishing returns (I talked about this in one of last year's Wilco reviews.) Now, Wilco could probably fill a venue with only casual fans, so it isn't a huge issue for them. If their core ever dropped off (which it won't) they'd be fine. The Avetts, I'd argue, still depend on a combination of both casual and core followers--the latter being those that would travel across a state (or states) to catch their third show in a week. So how does a band maintain that core following? How do they convince their superfans to spend time and money on a show that they've already seen? The answer, as I posited in that Wilco review I referenced earlier, is to be cognizant of what the people want. Again, this is especially important if you tour steadily. A guy like Tom Waits, who tours twice a decade if we're lucky, can get away with playing whatever he wants. But the Avetts seem to announce a new tour every week. They still play a hundred dates a year, give or take. That's a lot of seats to fill. The Avetts and their management calculate that there is an adequate demand for this volume of shows--and I'm sure the diehards factor into that. But will it ever amount to too much supply, even for the diehards? 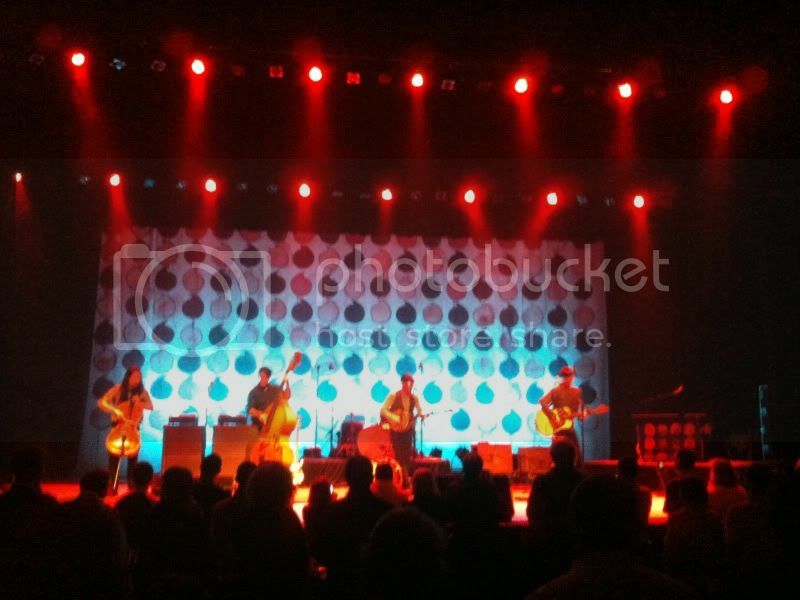 I'm no diehard, but I haven't passed up a chance to see the Avetts in recent years. Largely, my efforts have been validated. Last year's Savannah show was stellar. The state fair wasn't the best Avett's performance, but the show itself was a highly memorable experience. 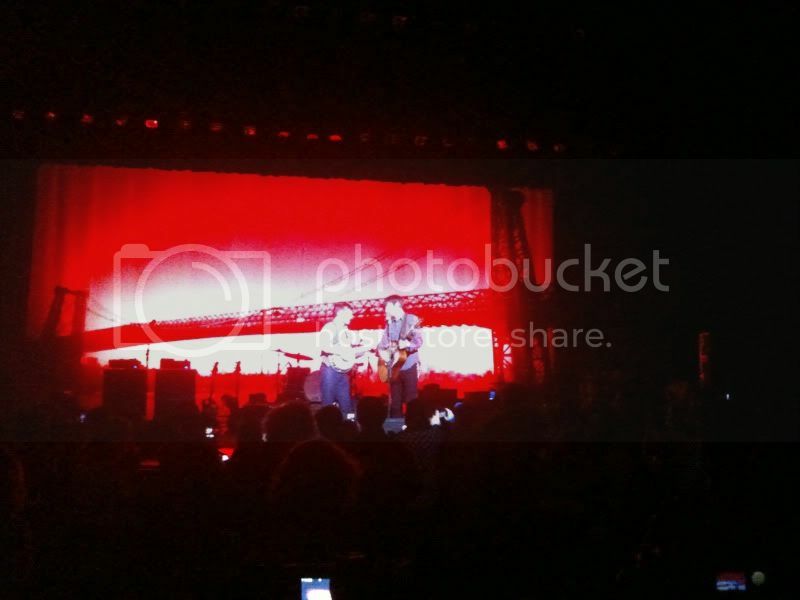 So I had no reason to believe that this year's first Avett experience would be any different. It may seem like everything I've written thus far is a set-up for a self-piteous "THEY LET ME DOWN" rant. That isn't the case. In fact, I had a great time. Our seats at the Johnny Mercer Theater were four rows deep in the center orchestra (seven rows including the pit seating) so we were roughly 20 yards from the stage. Mercifully, there was no Jessica Lea Mayfield opening set to endure, so the boys came out after a brief introduction from a festival official, and started off strong with "Laundry Room", the stand-out track from 2009's I & Love & You. From there, we heard a combination of old and recent material, and even a couple of new songs. Concert standbys "Shame" and "Paranoia in Bb Major" are always winners. I was thrilled to hear "All My Mistakes"--my personal favorite Avetts tune. And, thankfully, they played "Talk On Indolence", which I haven't heard them do since their Charleston performance in 2009. The setlist, however, left me nonplussed. I've made no bones about my less than ecstatic reception of I & Love & You. It's aged nicely, but I just don't get excited when they start into any of its songs with the exception of "Laundry Room". By the end of the night, they'd played 8 of the album's 13 songs. There were also two (quite nice) new songs, and they closed with a cover of "Blueridge Mountain Blues". These accounted for 11 of the night's 21 songs. [ed: I've learned that "Dream Appointed" isn't a new song, just a non-album track.] All told, there were only four songs that predated 2007's Emotionalism. This is highly uncharacteristic of a band who usually shows its love for the long-time fans by bulking up setlists with material from their formative years--back when they were but a little-known newgrass outfit from Concord, North Carolina. In fairness, I should mention that the performance itself was, as always, a joy to watch. Scott was as hyper as I've ever seen him, and Seth was his usual self, hamming it up on mic and off. Joe Kwon and Bob Crawford are delightful in their supporting roles, seemingly content to let the brothers do their thing. The drummer still seems uninitiated, like he's just a session player hired for the night. The new stuff requires a drummer, though, and I suppose the brothers were rather stay up front than take turns manning the skins as they have in past years.